WASHINGTON -- The Trump administration is discontinuing a signature girls education initiative championed by former first lady Michelle Obama, according to officials. "'Let Girls Learn' provided a platform to showcase Peace Corps' strength in community development, shining a bright light on the work of our Volunteers all over the world," Crowley wrote. "We are so proud of what 'Let Girls Learn' accomplished and we have all of you to thank for this success." News of the program's end came the same day President Donald Trump's agriculture secretary, Sonny Perdue, was visiting an elementary school in suburban Virginia to announce changes to another initiative spotlighted by the former first lady, healthy school lunches. Perdue was set to unveil a rule change "providing regulatory flexibility for the National School Lunch Program" during a visit to Catoctin Elementary School in Leesburg. Like "Let Girls Learn," improving the nutritional quality of school meals was a major focus of Obama's during her tenure as first lady. It wasn't immediately clear how Perdue's announcement would alter the nutritional makeup of school lunches nationwide, though health advocacy groups warned that backtracking could prove dangerous for children. "Rather than altering the current path forward, we hope the agency focuses more on providing technical assistance that can help schools get across the finish line, if they haven't done so already," said American Heart Association CEO Nancy Brown. "Let Girls Learn" was an inter-governmental initiative run primarily at the Peace Corps and the United States Agency for International Development. A spokesman for the Peace Corps said Monday the agency would continue its efforts toward girls' education. "The Peace Corps continues to prioritize girls' education and empowerment programming," the spokesman said. "Girls' education and empowerment has been a hallmark of our work over the past 56 years and we look forward to continuing those efforts with our interagency partners. We remain dedicated to the passionate work of our volunteers and staff to empower and educate girls in their communities." Tina Tchen, who served as Obama's chief of staff during her time in the White House, said the end of "Let Girls Learn" was a disappointment given a global recognition that educating young women could help improve conditions across developing nations. "We felt it was important to have a branded campaign that drew attention to those issues, and we found that when we did it, we had extraordinary support," Tchen said. "I think it's unfortunate to not continue with the branded campaign. We think that this is an issue that has bipartisan support, it's really not a Republican or Democratic issue." Tchen said the benefits of the program, which drew upon private sector support as well as government dollars, outweighed the costs. She noted that a development program launched by President George W. Bush to combat global HIV/AIDS, PEPFAR, had been maintained and expanded by the Obama administration.
" 'Let Girls Learn' had several years of funding already baked," she said. "We were hopeful that given that, it could continue. But obviously elections have consequences, and nobody knows that better than we." 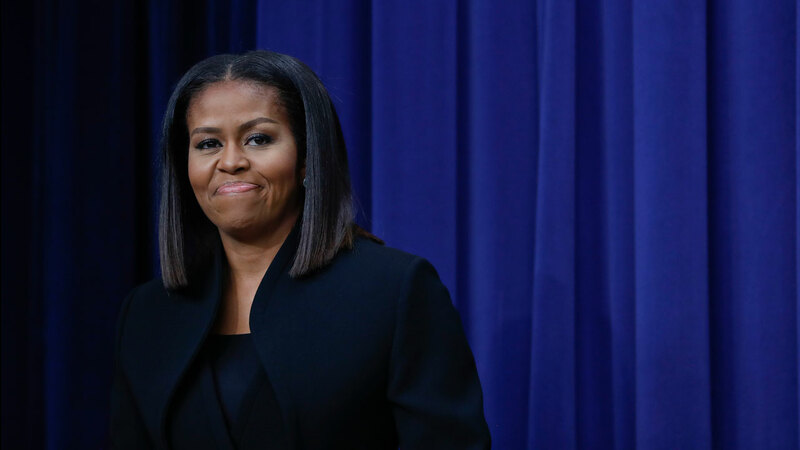 After launching the initiative in 2015, Michelle Obama heavily promoted "Let Girls Learn," including during travel abroad and at events held in Washington. CNN Films produced a documentary highlighting some of the girls participating in "Let Girls Learn" programs in Morocco and Liberia during the then-first lady's trip there. Obama also harnessed her popularity on social media to promote "Let Girls Learn," and enlisted celebrities like Frida Pinto and Meryl Streep to help highlight the struggle girls in many developing countries face in regularly attending school. In October of last year, the Obama administration attempted to reinforce "Let Girls Learn" ahead of a new administration. The White House announced $5 million in private sector commitments toward the programs administered under the "Let Girls Learn" banner, bringing the total financial pledges to more than $1 billion for programs in 50 countries. The hope then was to underscore the success of the initiative in the hopes the next administration would continue it. The ending of the program comes as Melania Trump begins to define her own platform as first lady. While she hasn't formally announced an official platform, women's empowerment and access to education for women and girls is emerging as a key area of importance for her growing East Wing. "I continue to firmly believe that education is the most powerful way to promote and ensure women's rights. Together we will do this not only by striving for gender parity at all levels of education, but also by showing all children, and especially boys, that it is through empathy, respect and kindness that we achieve our collective potential," she said in a recent speech at the State Department. On Monday, a Trump White House spokesperson referred comment to representatives for the first lady, who declined to comment. First daughter Ivanka Trump who serves as an adviser to the President, is focused on women's empowerment and entrepreneurship, topics she's touted on panels and in speeches. She is a self-described "Entrepreneur & advocate for the education & empowerment of women & girls," according to her Twitter biography. In promoting the importance of girls education, Obama regularly highlighted her own educational path, and said it was critical to her success in the private sector and later as first lady. "Education is a very personal thing for me," she said in October during a discussion at the Newseum with a group of girls from across the globe. "As I tell girls whenever I meet them, I wouldn't be here, sitting here not just in this chair but in the life that I have, if it weren't for my education." Tchen said Monday that the former first lady was still assessing how to promote this issue in her new life as a private citizen. "This is an issue she cares passionately about," Tchen said. "I think it's still early days for what she will do in her post-White House life. But this is one she's looking at figuring out where can she be value added, where can she help with this issue."